A pre wedding photoshoot allows the wedding couple to get their pictures clicked in the locations they fancy, the clothes they desire and the themes of their choice. It is a well-planned format of a shoot where the couples freely interact with each other while they are being clicked. This is a special kind of photography that helps in capturing the raw emotions and most candid moments of the couples who are soon going to transverse on the path of a married life. 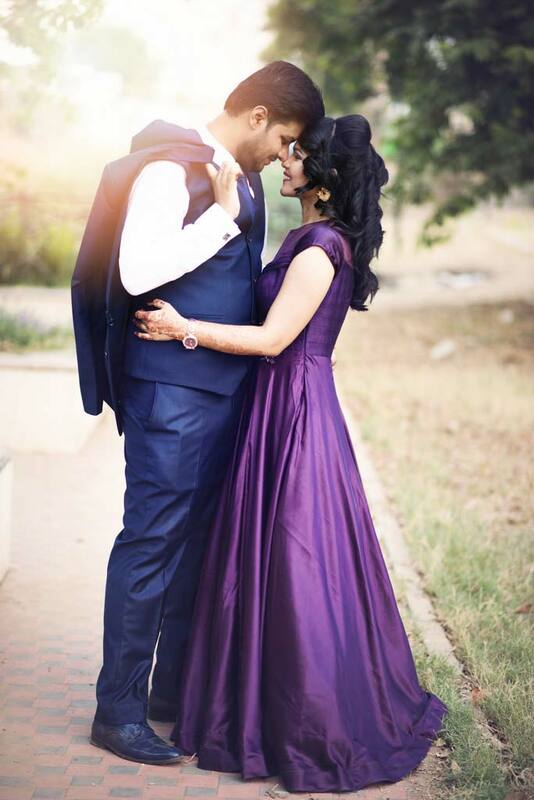 These pre wedding photoshoots create a deep bond between the engaged couple. Besides, it allows them to get acquainted with the photographer before the wedding day. 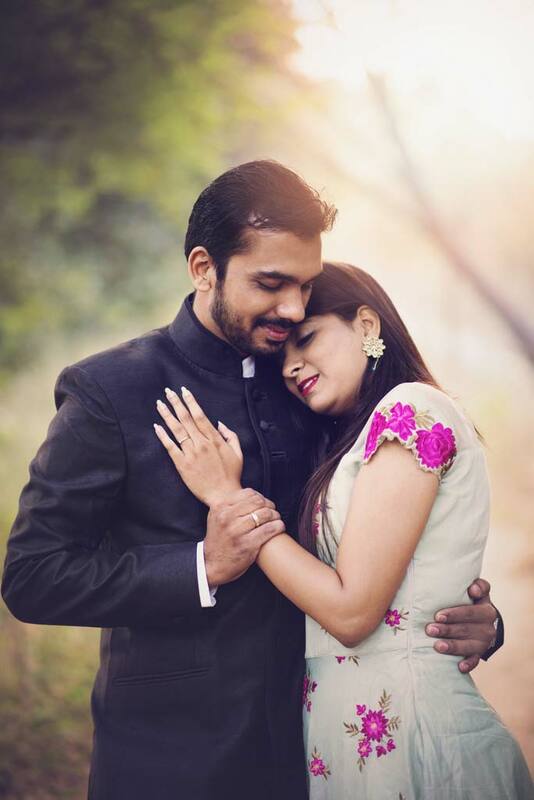 The pre wedding photographers in ahmedabad gets to know the likes and preferences of the couple such as the best poses, comfort zones, creative postures and more. This can later help the photographer in capturing spectacular candid clicks of the couple on their wedding day. Pre-wedding photoshoots have become quite popular nowadays. Shooting in incredible locations and capturing the breathing bond between our star couple is our forte. We, at Mac Studios, are renowned for our unique, natural and authentic pre wedding photography in Ahmedabad. A pre wedding shoot in Ahmedabad can help to bring out the true chemistry between the couple through the lens of a competent photographer. These photographs flooded with emotion become special moments that remain imprinted in the memory forever. These shoots allow couples to explore more and find time for each other during the busy run up to the marriage. You can indulge in creating romantic videos and images of your first meeting, engagement, first trip togetherwith our best team of pre wedding photography in Ahmedabad. Leveraging state-of-art equipment and a profound knowledge for angles and shots, we, at Mac Studios, endeavor to proffer the finest workmanship. We create several pre wedding videos that can be featured during your wedding or cocktail ceremonies to engage the guests. Our style is unique, fresh and extremely relaxed. We make sure to narrate your love story by keeping things fun and very natural during the shoot. We are an ardent supporter of using natural light for pre-wedding photography. With us, you will not find yourself indulging into any awkward poses or counterfeit expressions. Instead, we love to capture our couple against outstanding landscapes to serve as the most effective backdrop for pre wedding photoshoot. Each pre wedding photoshoot in Ahmedabad is impeccably customized. We make sure to sit with our clients for protracted hours to chalk out the perfect itinerary and offer creative suggestions to make the photography look absolutely flawless. We also recommend makeup artists and hair stylists who can get you ready for your shoot. Our pre wedding photography in Ahmedabad includes several fun and quirky pictures as we walk around the area that has been chosen by you for your wedding shoot. Our story-telling photography style will help to create breathtaking pictures that will stand the test of time. Our grail is to keep things as simple as possible during the shoot so that you can enjoy with your loved one and let things unfold on their own. This will help us to photograph the true and raw emotion and the deep bond you share with your partner. At Mac Studios, we strive to apply our best photography expertise for delivering high quality solutions at the most pocket-friendly prices. Our pre wedding shoot prices in Ahmedabad are highly competitive. With years of hard work and practice, we have ameliorated the photography process and are successful in gratifying our clients with our premium pre wedding photography in Ahmedabad. So, if you wish to create a romantic saga by capturing the precious moments of your engagement, get in touch with us and we will serve you with our unique and inventive ideas of pre wedding photoshoot. We are confident that these photographs will be absolutely stunning and a masterpiece in its own.